Round Top must have been born from the simple idea of someone's thinking that "this beautiful spot on earth" would be a wonderful place to live and share with others. It was first called Townsend Settlement after the family that lived here, then Jones Post Office Settlement. No one declared . . . "this will be the town of Round Top." The idea just grew. The Round Top Area Historical Society Inc., began exactly that same way. A group of ladies were cleaning the city hall one day in 1989 when the conversation got around to how great it would be if some of the memorabilia reflecting the history of Round Top could be displayed in the City Hall. That conversation sparked an idea . 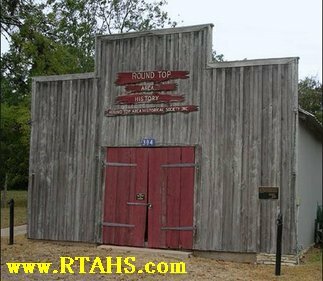 . .
why not have an historical center for Round Top? You will need Adobe Reader to open this document. Periods of time; people and families; you may want information on. Efficient use of talent, time, money and other resources. >Programs you would like us to present. Please contact one of the society directors with your idea or write to the society. # 8. What year was the Round Top Rifle Association Formed? Was located next to church. 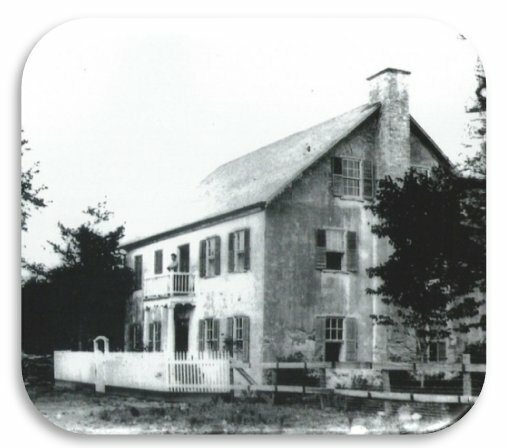 Pastor Adam Neuthard in 1858 built a combination home and boarding school in Round Top. He was a master of Hebrew, Greek, Latin, French, and German. In 1866 he organized a Lutheran congregation in Round Top where he ministered for 37 years. The Bethlehem Lutheran stone church completed in 1867 still remains in use to this day. During Pastor Neuthard's tenure he baptized 2,450 children and confirmed 1,450 young people and presided at 1,000 funerals. For the first 70 years all sermons in the church and school classes were conducted in German. The amazing Pastor Adam Neuthard is one of the cherished legends of Round Top.